I’m happy to announce that Minimodernas is now carrying several Amazing Miniatures pieces. In fact, they are my very first wholesale account! 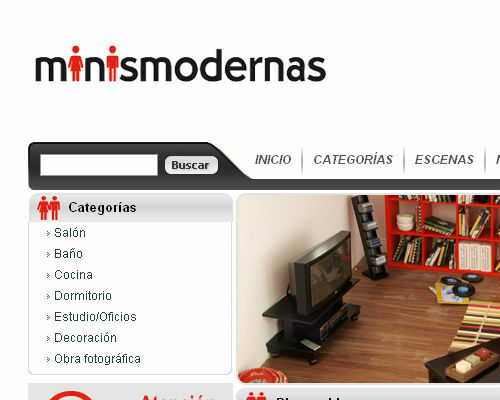 Minimodernas is a web shop based in Spain that specializes in modern miniatures. If you’re in Europe, do check them out. You can definitely save on shipping costs through them. Even if you are not in Europe, they do offer specialty modern pieces all in one place. Minimodernas also has a blog too, so please visit them and say hi! Great work, Ann! Your minis fit right in. And an international wholesale order…you should be really proud! I am very proud. Thank you Amelia! That is fabulous! So proud of you and your storm into the mini world! You’re making me blush. ^_^ Thank you Lyssa!